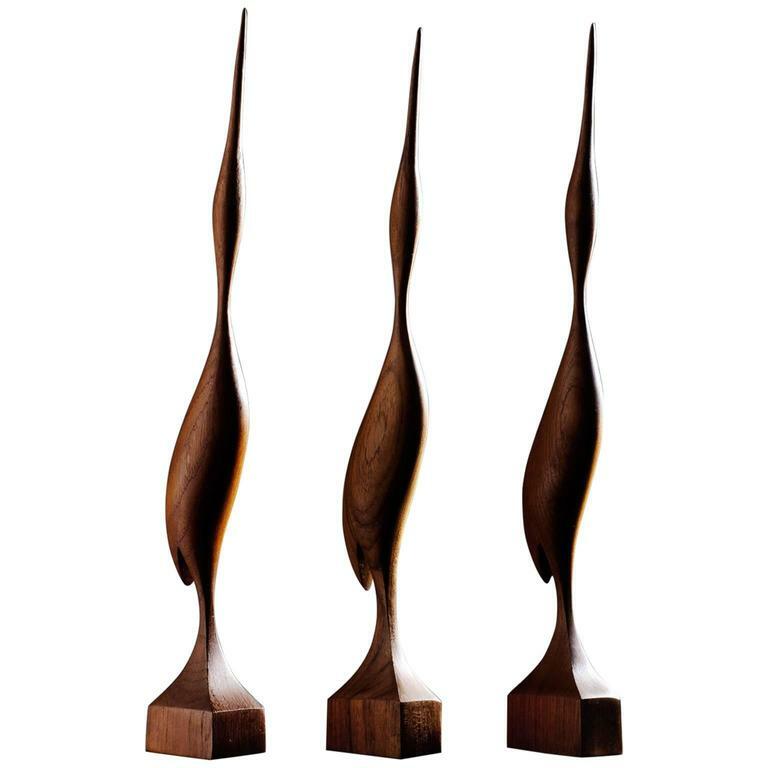 Set of three elegant birds in solid teak, Denmark, 1960s. This wonderful set of decorative birds shows great craftsmanship. The shape of the birds is extremely elegant and smooth, the artist who made it clearly had great eye for detail. 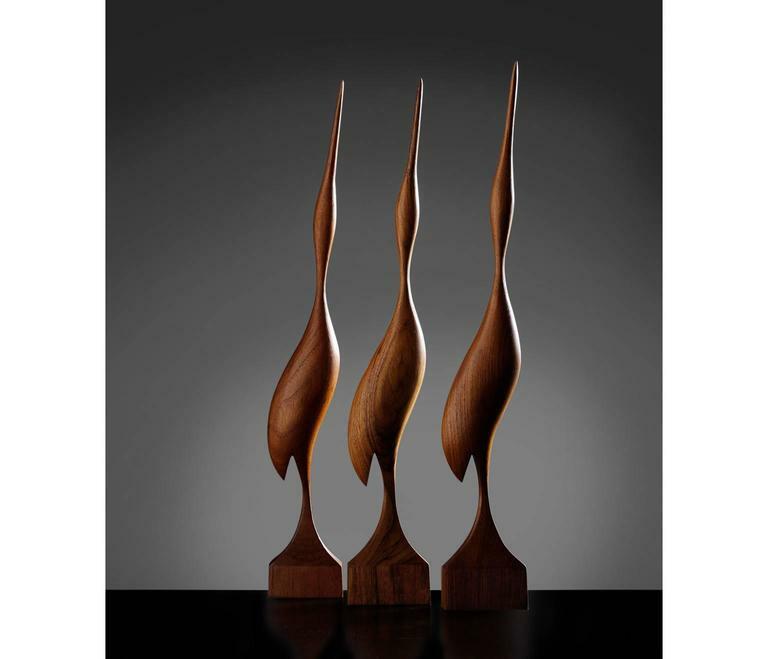 The square base smoothly runs over into the feet of the bird, that has a friendly appearance and warm expression due to the wonderful solid teak. Set of three Monkeys, in solid bronze. Hand-carved pieces. Each pieces: L7xD8xH13,5cm. The parents and chick each with expressive faces and varying size. Brass heron bird sculpture, 1960s. 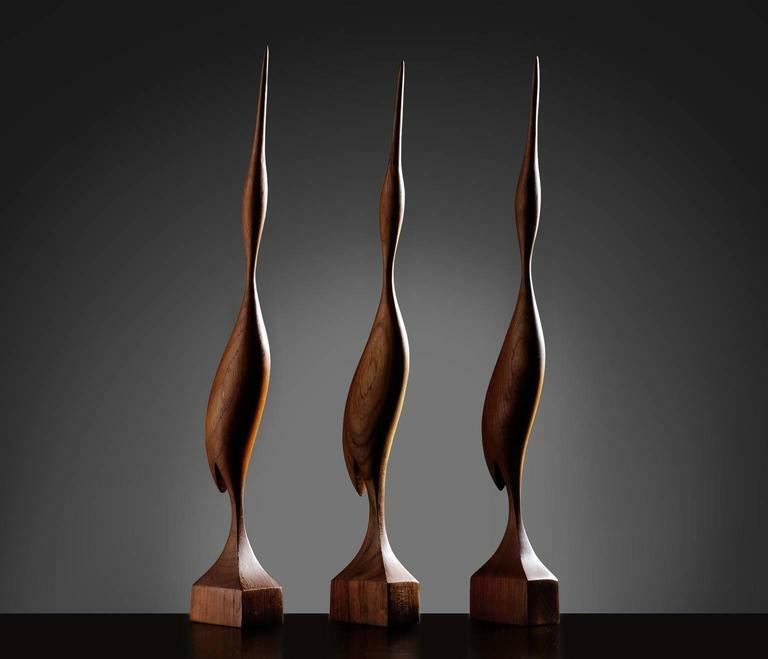 Organically shaped teak figurine or sculpture. Handmade in Denmark by Simon Møbelfabrik during the 1960s.